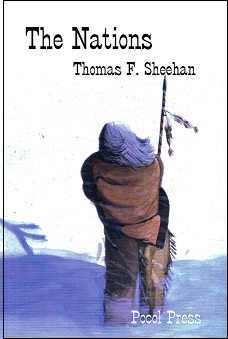 Tom Sheehan has 24 Pushcart Prize nominations. 375 western stories on Rope and Wire Magazine. His published books include: In the Garden of Long Shadows, From The Quickening, A Collection Of Friends, and The Nations, about Native Americans, all available from Pocol Press. of love soft shoe across it. into its grain, beginning bread. age, a shot at infirmity. cloud of powder floats her love. white meat in the lesser turbulence. to call it quits for one more night. in his hand, dark waders rubbing knees. shivered in boots for him, gasped. waders at once too heavy for the going. flew like semaphores in the sunlight. taking leave of its sentences.